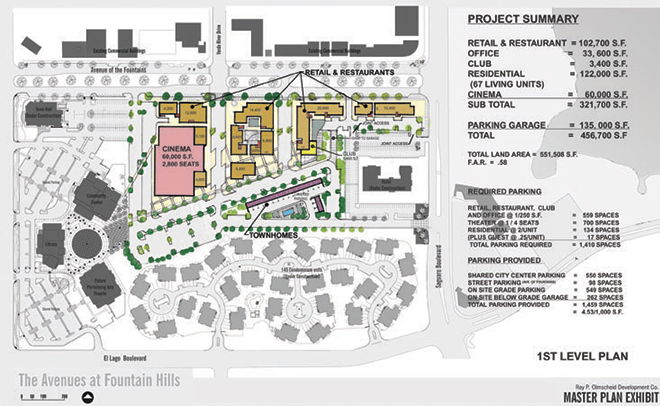 This master plan is for an 18.85 acre development in Fountain Hills, Arizona, an upscale market in the Phoenix area. 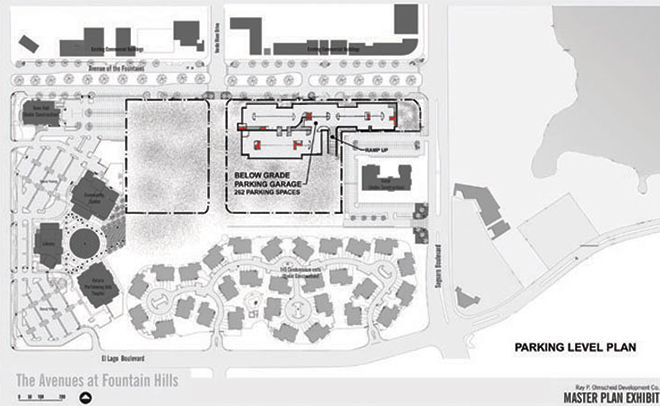 The mixed-use lifestyle, ground-up development was designed to be built in two stages over 36 months on 12.66 acres plus 6.19 town-contributed acres of parking; 511,700 S.F. of this will be parsed into 106,100 S.F. 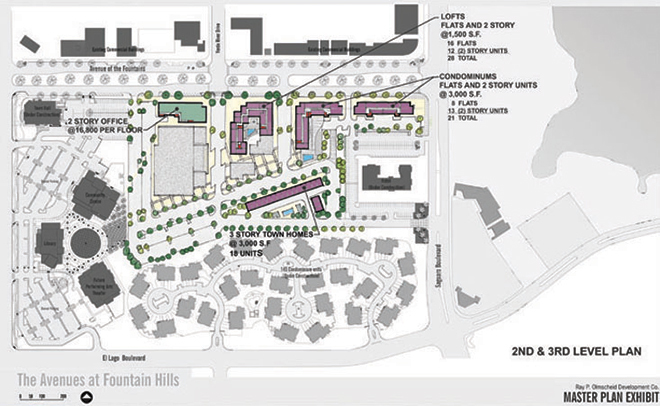 of retail and restaurant space, 182,000 S.F. of condominiums/lofts and townhouses, and 135,000 S.F. 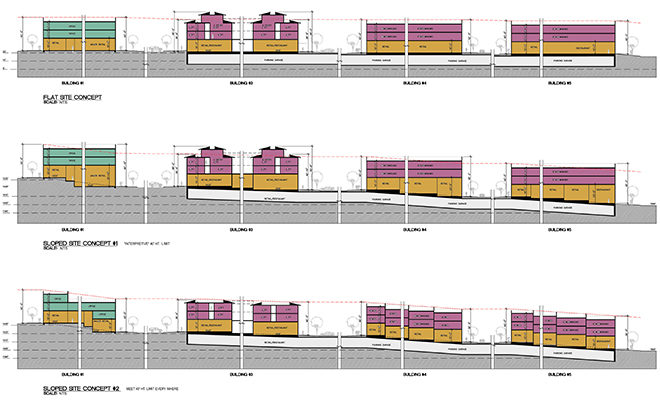 of subterranean parking, including 262 private stalls.